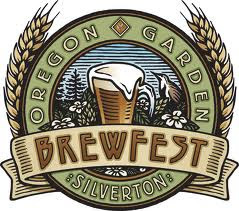 As we begin our slide toward the craziness of summer on the beer festival front, he Eighth Annual Oregon Garden Brewfest is set for April 27-28 at the J. Frank Schmidt Pavilion in Silverton. I haven't been to this festival before, but I hope to make the trip down this year. The OGB has attracted a growing following in recent years and is becoming a destination. They expect to feature more than 90 craft beers and ciders from 45 different breweries. There will also be two stages offering live music from well-known Northwest bands both days. Times are noon to 11 p.m. both days. Oh yeah, minors are okay until 3 p.m.
Just to give you an idea of cost, you can purchase a one-day advance tasting package for $15. It includes admission for one day, a tasting mug, 7 tasting tickets, and express entry. A two-day advance tasting package costs $25 and includes admission for both days, a tasting mug, 14 tasting tickets, and express entry. Tickets are the same price at the venue, but you'll get only 5 tasting tickets for the one-day, 10 tasting tickets for the two-day, and no express entry. Tasters cost 1 ticket; a full mug of beer costs 4. Additional tasting tickets are $1 apiece. An additional feature this year is the first annual Brewer’s Tasting Dinner on Thursday, April 26 at 7 pm. This six-course tasting will be attended by participating brewers and industry insiders. Each course will be a small plate paired with a beer from one of six area breweries. There are just 100 tickets available to the public at $40 apiece. Finally, a Connoisseur Tasting will be held from noon to 2 p.m. on April 27. It will feature many brewers at their booths engaging with attendees. This tasting is included with Friday admission. There's a whole lot more information, including a list of breweries and bands, on the festival website here. This should be a fantastic event.